Upbound in the Welland Canal on her delivery trip, June 14, 2018. 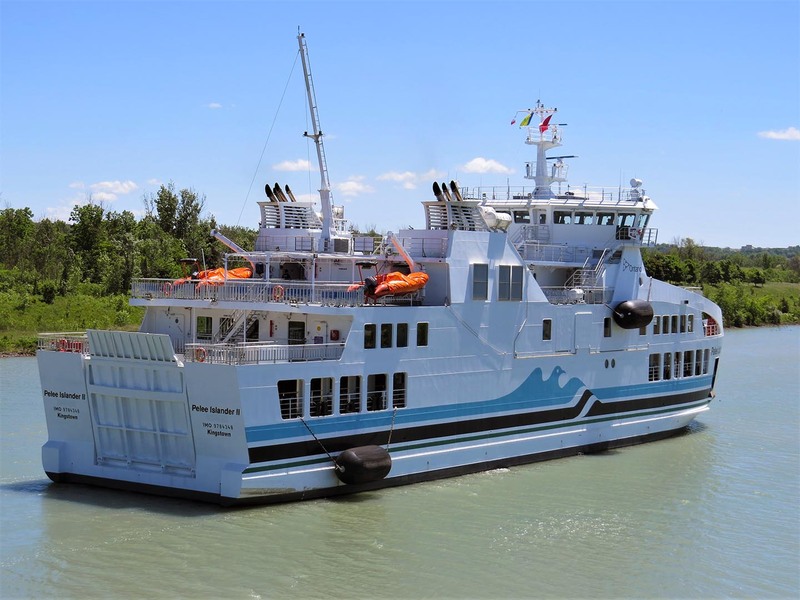 The passenger and auto ferry Pelee Islander II was built at the Asenav Shipbuilding Company in Valdivia, Chile to run between Leamington/Kingsville, Ont., was delivered to her new homeport of Kingsville in mid June 2018. The 222-foot-long vessel can accommodate 399 people and 34 cars, or four tractor-trailers and 16 cars. 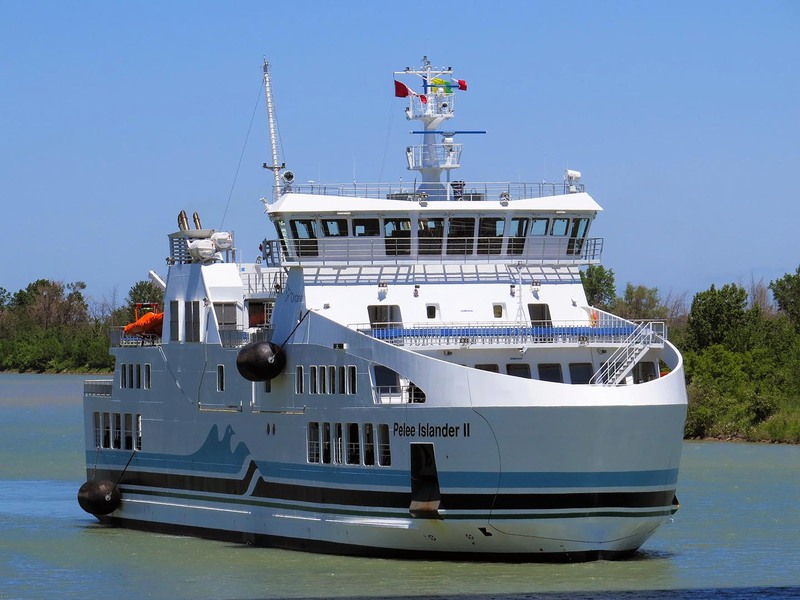 Pelee Islander II will ultimately replace the 58-year-old Pelee Islander on the run. Stern view clear of Homer Bridge.